Aiden DeCampo with Rich Yankee after winning the Pearl. RISING star Nathans Courage kicks off what shapes up to be a big campaign when he heads to Gloucester Park tonight. 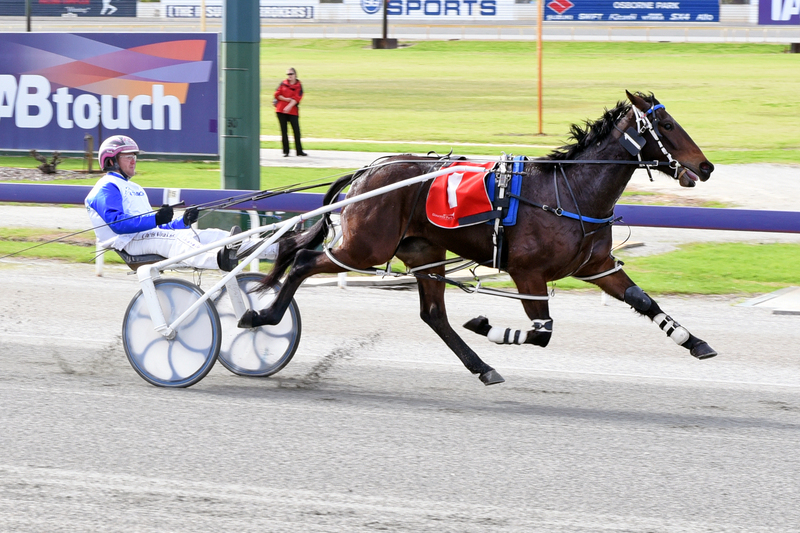 First-up since his Group Two success last January, Nathans Courage is being groomed for majors such as the Inter Dominion, Western Australia and Fremantle Cups. Pleased with the gelding’s progress, trainer Michael Brennan is confident Nathans Courage can make the transition to Grand Circuit level next season. “Everything he has done suggests he can take that next step,” Brennan said. “Now it’s a matter of him doing it. “Whether he can handle it this time in we will have to see as moving in to that grade does take some adjusting. “It’s like a footballer in his first year of AFL…it takes a season to adjust to the different tempo of it all. Having trialled well a fortnight ago, Nathans Courage is ready to win according to Brennan, who stated the barrier draw is the biggest concern. With several race fit and in-form rivals drawn well, the son of Courage Under Fire will begin from gate seven. “The draw isn’t the best, but he if he can get the right run, he is forward enough to win,” Brennan said.